Dianette is a hormonal treatment for acne and excess hair growth in women, which performs a secondary function as a contraceptive medicine for those who take it. To renew your prescription and buy Dianette online, take our consultation. All orders are reviewed by GMC-registered doctors, and once approved, delivered by tracked courier. Dianette tablets contain 2 milligrams of cyproterone acetate and 35 micrograms of ethinylestradiol. It is a 21-day pill. Dianette is a tablet treatment indicated for female cases of acne. The medicine is typically employed when other acne solutions, such as topical creams or antibiotics, have proved ineffective. It also is used to relieve symptoms of excess facial hair in women. And while it is primarily prescribed for these conditions, its hormonal qualities mean that it provides contraceptive protection to the user as well. However, it should not be used solely for the purpose of contraception. Acne and excess facial hair in women can occur due to a hormonal imbalance. In the body, androgens are responsible for the facilitation of skin and hair growth, enabling the release of oils from sebaceous glands, called sebum. But in those cases where androgen becomes overly abundant, these glands may generate too much sebum and then become obstructed. This can then lead to skin inflammation, acne, and increased hair growth on the body. The active ingredients in Dianette are cyproterone acetate and ethinylestradiol. Cyproterone is known as an anti-androgen, and ethinylestradiol is a synthetic version of oestrogen. This medicine works by reducing the receptiveness of androgenic receptors, thereby lessening the effect of androgens on the skin. This helps to prevent symptoms of inflammation and acne. These agents also perform contraceptive functions in the body, by inhibiting the release of eggs from the ovary, changing the consistency of the uterine wall to make egg implantation more difficult, and thickening vaginal fluid to make sperm less agile. This product is not intended to be used solely as a contraceptive, but it is a viable method of contraception for those experiencing acne or excess hair growth. Dianette is a brand of medicine made by Bayer. This product has been licensed for generic reproduction, and is also available as co-cyprindiol. It is crucial when seeking treatment to make sure you are buying either a branded product, or one which has been made available for generic sale. 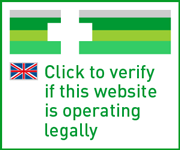 Some websites may claim to stock items which do not yet legally exist, and these may not be run by registered and trusted sellers. If you haven’t used Dianette before and would like to speak to someone about taking it for the first time, speak to your doctor. They will discuss your symptoms with you, and assess your suitability for the treatment. If appropriate, they will initiate a prescription for you. If you’re already taking Dianette and want to buy and renew your prescription for it online, take our short medical assessment. Once a doctor has reviewed your responses and approved your order, your treatment will be shipped to your preferred address by tracked courier. Make sure you follow the instructions carefully, and apply as directed by your prescriber. Doing so will help to maximise the efficiency of the medicine, and limit the risk of potential side effects. Take one Dianette pill at the same time each day for 21 straight days. Start your next strip of Dianette on the following day. Designated days will be marked on the blister strip. Adhering to these will help you keep track of your medicine. Swallow your pills whole with water. If you forget to take your dose, consult the leaflet provided for instructions on what to do next. The instructions here are intended as a guide only. Ensure you read and follow those provided with the medicine. Ask your doctor if you are still unsure. Even though not everyone will experience them, it is important to be aware of the side effects this medicine may cause. This will enable you to act accordingly in the event that they occur, and seek immediate medical attention. Headaches, feeling sick, stomach ache, weight gain, mood swings, breast pain. Fluid retention, skin rash, being sick, upset stomach, migraine, loss of libido. Intolerance to contact lenses, weight loss, venous blood clot, increase in libido, vaginal or breast discharge. Liver or kidney problems, Crohn’s or ulcerative colitis, chloasma, otoscelrosis, gall stones, angioedema. This is not a detailed account of the possible side effects associated with this medicine. For a more comprehensive list, consult the leaflet supplied with the product. If you experience any side effects or notice anything unusual, you should tell your doctor or the nearest hospital right away. Let your prescriber know if you are using any other prescription or non-prescription medicines or remedies. Some may affect your suitability for this treatment. Dianette may influence the efficacy of: medicines used to treat epilepsy, medicines used to treat HIV and hepatitis C virus infections, griseofulvin, antibiotics, barbiturates or St. John’s Wort. Your doctor needs to know your medical history before they can prescribe this product for you. Dianette may be unsuitable for you if you are pregnant or might be pregnant, if you are breast-feeding, or if you have or have ever had: porphyria; breast cancer; a blood clot, thrombosis or a pulmonary embolism; a disease which increases your risk of a heart attack or stroke; diabetes; high blood pressure; high cholesterol; protein C deficiency; migraines; liver disease; or pancreatitis. This medication should not impede your ability to drive or operate machinery. Dianette contains lactose and sucrose, therefore if you have been told you have an intolerance you should speak to your doctor. You can find information about this medication and how it can affect your cancer risk in the enclosed patient leaflet. Avoid the use of sunbeds and prolonged sun exposure. Yes. Alcohol is not known to affect the function of Dianette. This product should not stop you from driving. However, if you notice any side effects which might impair your driving ability, do not drive and seek medical attention. No. Take a pregnancy test before using Dianette to ensure that you are not pregnant. You should also not use this treatment if you are breastfeeding. Always store your medicine at room temperature unless otherwise specified. Keep it in a dry, sealed environment out of the reach of children. You should not use Dianette if you are allergic to or unable to tolerate any of the containing ingredients, which include: cyproterone acetate, ethinylestradiol, lactose, maize starch, povidone, talc, magnesium stearate (E572), sucrose, polyethylene glycol 6000, calcium carbonate (E170), titanium dioxide (E171), glycerol (E422), montan glycol wax, and yellow ferric oxide pigment (E172). No. This treatment is only available with a prescription. This is because a doctor will need to assess your suitability before you can use it. If you are looking for acne treatment, speak to your doctor. They can assess your symptoms and help you determine whether or not Dianette or another medicine is suitable for you. If you would like to renew your prescription for Dianette, simply take our short medical questionnaire to start your consultation, and our doctor will analyse your answers. If the medicine you need is safe for you, It will be delivered to you within one working day.